Square Enix announced that a new battle mecha action game will be released in the fall of 2018. 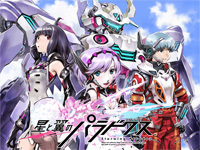 Starwing Paradox animation is handled by famous Japanese studio Sunrise. The producer is Naohiro Ogata (Mobile Suit Gundam Unicorn), the character designer is Yoshiyuki Sadamoto (Neon Genesis Evangelion), the mecha designers are Ippei Gyoubu (Mobile Suit Gundam: Iron-Blooded Orphans) and Jun’ya Ishigaki (Xenogears Gear). Starwing Paradox will be a 8vs8 online game and the game cabinet is a cockpit reproducing the mecha movement. Visitors of Japan Amusement Expo 2018 that will be held at the Makuhari Messe in Chiba from February 9 to 11 will be able to try the game on Square Enix booth. The new World Club Champion Football is out today. As usual, players and clubs line-up is updated. In this new version, a new "overall supervisor ranking" which decides the WCCF No.1 director is added. Furthermore, when playing with friends, new "Friend mission" will be available to receive cooperative prizes. WCCF 2016-2017 Golden Championship ended on January 21 but the Grand Trophy ranking results are still available in WCCF 2017-2018. The maximum number of items possessed by the player is expanded from 30 to 50. 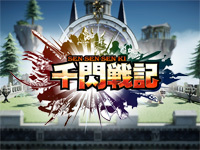 Sega will hold a location test of a new card action game named Sen Sen Sen Ki. It will take place at Sega Akihabara #2 and Sega Akihabara #3 from January 26 to 28. Players who will answer the questionnaire will receive a special clear file! According to Sega, Sen Sen Sen Ki is a completely new type of network fighting game using digital cards with "party battle" & "dual turn" systems. The player uses 4 characters to fight among the different classes available: Fighter (very powerful), Hunter (high speed), Sorcerer (uses tricky effects), Cleric (supportive role), Knight (defensive role) and Witch (magic damage). There are 3 types of cards: equipment, item and magic. At last! A new House of the Dead game!!! The House of the Dead - Scarlet Dawn is the new episode in The House of the Dead series by Sega. 9 years after The House of the Dead EX. This new episode promises the largest crowds of zombies ever seen in a House of the Dead game, perfectly animated through Unreal Engine 4. The theather cabinet features air canons and a vibrating seat (as the one of Dark Escape 3D). A special lightning will light up the back of cabinet as people walk by in order to attract players. Players play the role of a man and a woman in the game but we don't know their identity yet. 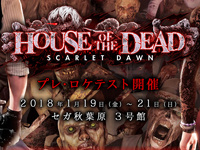 The current developement version of The House of the Dead - Scarlet Dawn will be on location test at Sega Akihabara #3 from Friday January 19th until Monday January 21st, 2018. The actual release is planned for later this year. You'll find illustrations of the cabinet and screenshots of the game in the forum. During "JAPAN Game Music Festival II: Re" game music festival, Tanoshimasu announced an arcade version of its Aka to Blue smartphone game. The arcade version will be named Aka to Blue Type R. Aka to Blue is a vertical scrolling shooting game released in September 2017. Hiroyuki Kimura (ex-Cave member) is the game director. 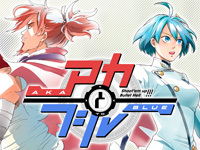 The game title refers to the colors of the two characters (red and blue). The first uses a flared shot in a burst and the second uses a more narrow and slightly more powerful shot. According to Tanoshimasu, it seems that this work is expected to be a different game from the smartphone version, he chose the name "Type R" as an abbreviation for "type revolution". The following adjustments will be made for Aka to Blue Type R: screen ratio change from 16:9 to 4:3, operation system converted from touch screen to control panel, readjustment of enemy arrangement due to screen ratio, some game system change, improvement of the texture resolution of some background graphics, more detailed enemy ships. The game is scheduled to be released in 2018. Here comes our next preview of EAG 2018: Sega Amusements International. On booth 534, beside Sega's new products, there will be the Parts & Customer Service division Sega Total Solutions and the licensed plush & prizes supplier Sega Prize International. Sega Prize will showcase new Tokio products: Wi-Fi speakers, wireless headphones and smartwatchs as well as new licensed plush items including Nickelodeon's star JoJo Siwa and Only Fools and Horses from the BBC. In December, Sega released a free upgrade of Daytona Championship USA, visitors will be able to try this upgrade at EAG. Furthermore, the game cabinet will feature a brand new overhead multi-coloured lightning marquee. Target Bravo: Operation G.H.O.S.T will be playable in a 55" atmospheric theater cabinet and in 55" upright cabinet. Let’s Go Island: Dream Edition will also be present. ICE, the long-time partner of Sega, will come with numerous redemption games as the new Wheel of Fortune based on the classic TV game show, Zombie Snatcher, Pirate Falls and Maze Escape, a mechanical redemption. Hoopla, a carnival themed game is a new redemption skill wall game developed in collaboration between Sega and ICE. Other redemption skill walls will be available: Bean Bag Toss, Down The Clown, Ice Ball FX and Milk Jug Toss. 2018 is the year of basketball for Sega with a new line-up of basketball products: NBA Hoops, NBA Game Time and NBA Hoop Troops. All those games are officially licensed by the NBA. To complete this line-up, Sega will also bring Sonic Basketball. To finish Sega's preview, let's mention Magic Arrow, the successor of the successful Key Master claw machine. Once again Bandai Namco will host one of the biggest stand at EAG. This is needed to showcase all Bandai Namco, Raw Thrills, Adrenaline, Andamiro and Triotech products! This year, a virtual reality attraction will be present on the booth: the AiSolve WePlayVR with two software available, Mayan Adventure and Alien Adventure. Bandai Namco will introduce two new games from Raw Thrills: Injustice Arcade featuring characters from the Justice League movie. It's a 3 vs 3 tag team fighting game delivering a character card after every play. And X Games Snowboarders, a realistic snowboarding game in a stand-up cabinet providing wind effects. From Adrenaline, visitors will be able to play Rabbids Hollywood, a four player game where players try to stop an invasion of crazy creatures by using different funny methods and Spinner Frenzy, a skill redemption game. On the stand, there will also be SpongeBob Soccer Stars from Andamiro (flip the lever at the right time to kick the ball), Triotech's timeless Typhoon simulator ride and Apple Scene Machine Version 2 photobooth using green screen technology. On the prize side, there will be a lot of plush from DC Comics and electrical goods featuring licences like DC Comics, My Little Pony, PAC-MAN, Harry Potter, Call of Duty,... Bandai Namco will also present cashless and loyalty card system from Embed and ticket eaters from Deltronic. For sure, booth 620 will be a must this year. 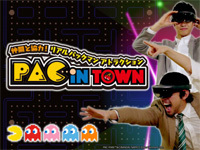 Amusement facility Namja Town in Ikebukuro will start a VR/AR attraction named Nanjatown x MR Project on January 15th. It will run until February 28th. MR stands for "Mix Reality". The first game available will be PAC IN TOWN. In a life-size labyrinth, the player have to eat all the dots while avoiding ghosts within the time limit. The Nanjatown x MR Project uses Microsoft's "HoloLens" device . 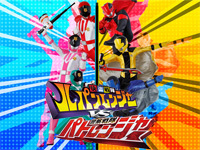 Super Sentai Data Carddass Kaitou Sentai Lupinranger VS Keisatsu Sentai Patoranger is the latest Data Carddass game. The collectible cards game is based on the upcoming Super Sentai series: Kaitou Sentai Lupinranger VS Keisatsu Sentai Patoranger. It's the 42nd entry of Toei's long-running Super Sentai series. The series is the first to feature two different teams of heroes: the Lupinrangers, who embody the gentleman thief hero archetype, and the Patrangers, with a police motif. The two teams are rivals, but usually team up against the series' main villains. The game and the television show will be released in February 2018. 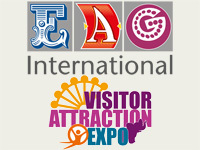 In less than a month, EAG 2018 will open its doors! Electrocoin is the first exhibitor to reveal its range of products. For the first time since 2011, a new DanceDanceRevolution will be presented in Europe! DanceDanceRevolution A will be exhibited in a new stylish white cabinet with a bigger 42” screen. Some of the new popular songs will have actual video footage including Pharrell Williams (Happy), Ariana Grande (Break Free), Selena Gomez (I want you to know) and One Direction. A backlog of music from previous selected DDR versions will be available in the new DDR A. Electrocoin is well-known for distributing Stern Pinball machines. This year, visitors will be able to try the new Star Wars and Guardians of the Galaxy pinball tables. A third title will also be presented. Electrocoin will also bring the capsule vending machine GOGO Chiken, the New Generation Panther Revolution Photo Booth and different ticket eaters and cashless systems. The Electrocoin team will welcome you on booth 516.